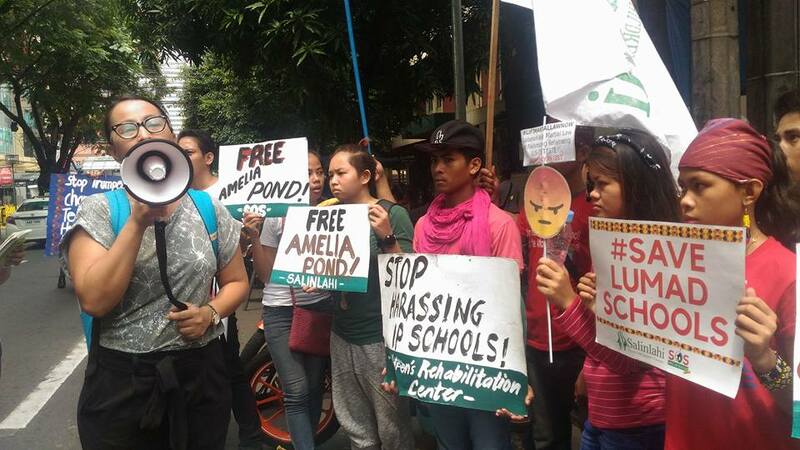 MANILA – Groups led by Save our Schools Network picketed at the Department of Justice in Manila to demand the dismissal of trumped-up charges and the release of the Lumad educators Amelia Pond and agriculturist Dominiciano Muya on Friday, Aug. 18. 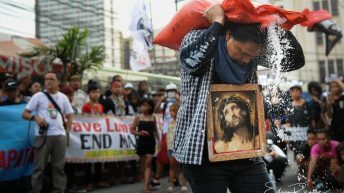 Pond, 64, is the regional coordinator of the Rural Missionaries of the Philippines-Southern Mindanao Region. She is also the research and documentation officer and a teacher of the Salugpongan Schools in Mindanao. She has been in detention exactly a year ago, after her arrest in Cebu City Aug. 18. 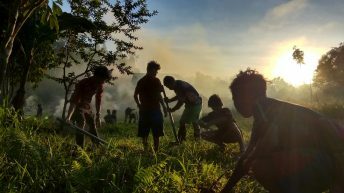 Muya, a Lumad agriculturist and a staff of the Salugpungan schools has been in detention since October 2014. 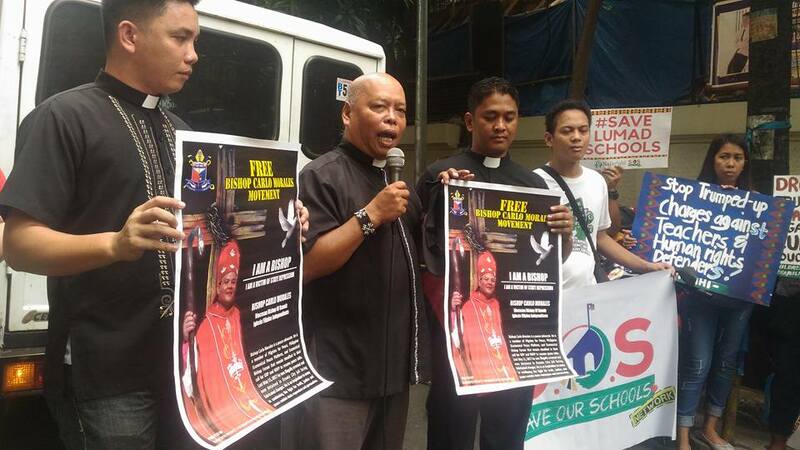 He was arrested at a police checkpoint as he was on the way to canvass construction supplies for the Lumad schools. 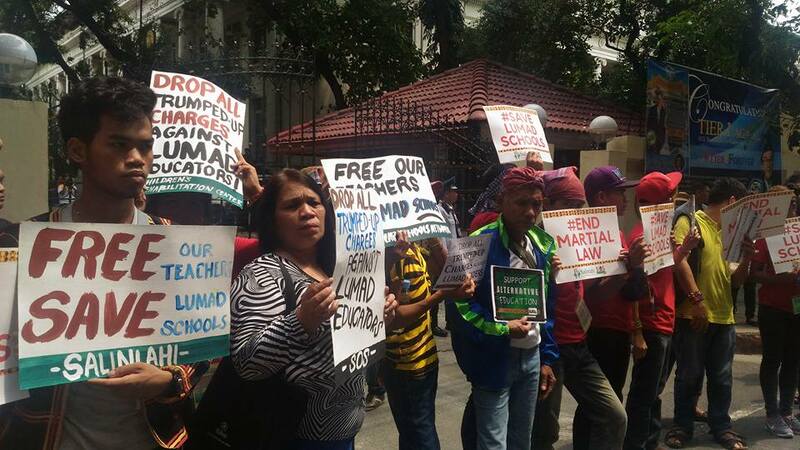 The groups also demand the immediate dismissal of trumped-up charges against the teachers of Alternative Learning Center for Agricultural and Livelihood Development or Alcadev, and Tribal Filipino Program of Surigao del Sur and several other Lumad community leaders. Relita Malundras, SOS Network spokesperson and Salinlahi Alliance for Children’s Concerns deputy secretary general said the false charges against Pond and other Lumad community leaders and educators are part of government’s continuous attacks against national minorities’ right to self-determination and right to education. 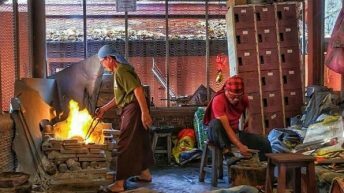 “It clearly exposed the state’s utmost priority– interests of foreign oligarchs and plunderers of our natural resources as protected by the Armed Forces of the Philippines (AFP),” said Malundras in a statement. 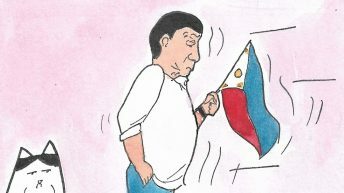 They also denounced the intensifying attacks on Lumad schools and the people of Mindanao after martial law was declared. 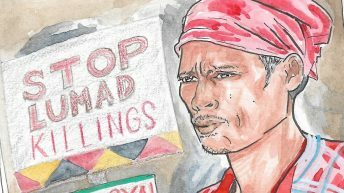 Malundras criticized President Duterte for threatening to bomb Lumad schools and branding them as training grounds of the New People’s Army. 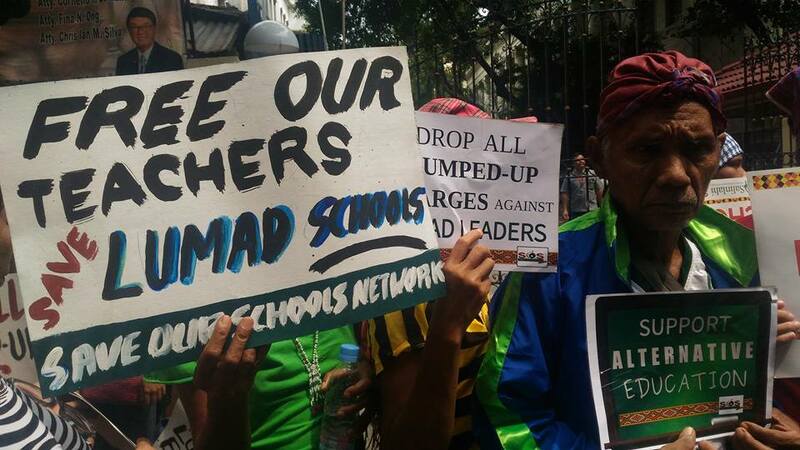 “Lumad educators and peoples are clear and open targets because the chief executive himself has vilified them”, Malundras said. 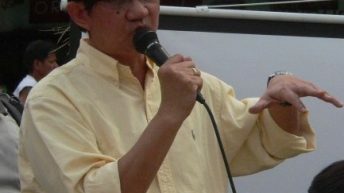 They urged Duterte to act on the immediate release Pond and Muya. 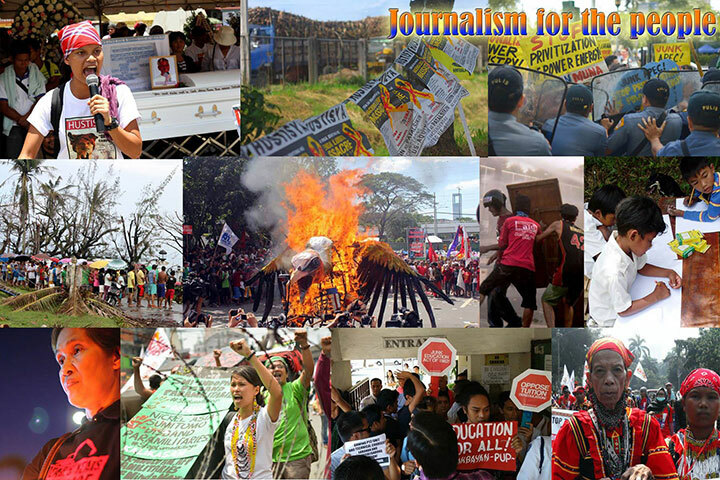 “We call on the Duterte government to give justice to where it is due,” said Malundras.